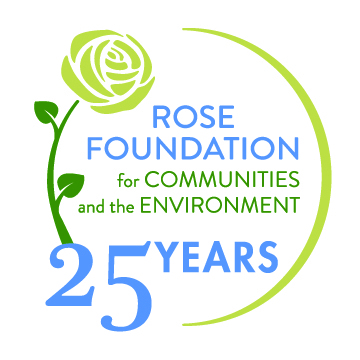 Thank you for considering using Rose Foundation for Communities and the Environment’s logo on your website or for print. Please do not use the logo unless you have written confirmation of our support as a sponsor, funder or endorser of your project, program or organization. Please contact us at 510-658-0708 or rose[AT]rosefdn.org (please replace [AT] with @) if you have any questions or need assistance. Rose Foundations’s logo should never be used at a size smaller than 0.75″ wide (54 pixels). For applications that require a logo smaller than 0.75″ wide (54 pixels), please use the small-use logo provided below. Similarly, the small-use logo should never be used at a size larger than 0.74″ wide (53 pixels). For applications that require a logo larger than 0.74″ wide (53 pixels), only the primary logo should be used. The logo should only be used in Rose Foundation’s approved colors below. If you are printing or need it in black and white, use the black and white version. If you are printing the logo in four-color process, please contact Jasmine Amons to obtain the approved CMYK formula. These policies do not grant a license or any other right to Rose Foundation’s logos or trademarks. 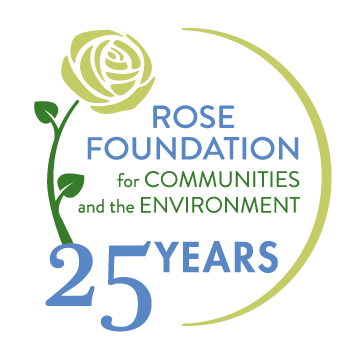 In the year 2018 we our celebrating the 25th anniversary of the Rose Foundation’s founding. Use these logos on top of white backgrounds, for web-resolution applications. The horizontal version is for small use only. Click on the image you need to download. Use these logos, which are placed on a transparent background, for web-resolution applications. The horizontal version is for small use only. Click on the image you need to download. Use these infinitely scaleable images for print or other applications that require high resolution. Please email rose[At]rosefdn.org (replace [At] with @) for these .eps files.